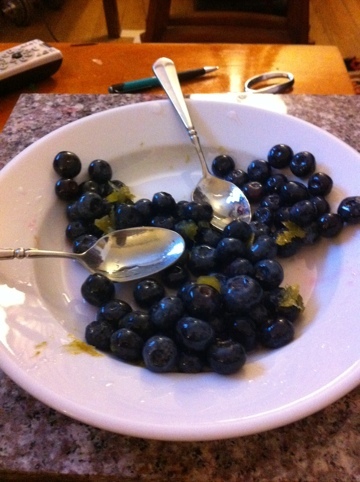 Simmer some lime zest in sugarwater, throw it on top of blueberries mixed with lime juice and sugar. A little mint, and the result: a light, sweet and tangy dessert. Thanks for another easy, yummy one!